In a statement, the Taliban said "talks with the American sides (will) continue" and given "the importance of the issue", its chief Hibatullah Akhundzada asked his deputy Mullah Baradar to appoint a new team of negotiators, Efe news reported. Sher Muhammad Abbas Stanekzai, who was the head of Taliban's political office in Qatar and has overseen a series of meetings with the US Special Envoy for Afghanistan Reconciliation Zalmay Khalilzad, will continue to lead the negotiations, the report said. He was accused of directing the militant group's propaganda on social media and playing a crucial role in strategic decision-making and fundraising. 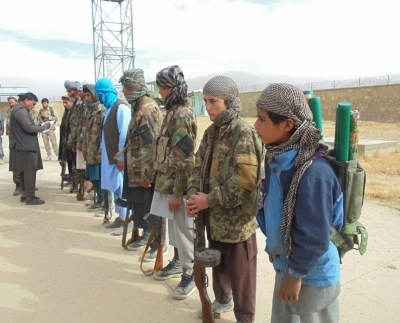 The Taliban on Tuesday renewed its demand for Anas' release to enable him be part of the team for talks. "Anas Haqqani has been appointed a member of the negotiating team, but is still in prison. As he was a student (when he was arrested) and did not do any activity to lead to his imprisonment, therefore he should be released to start his new role as member of negotiating team," Taliban spokesman Zabihullah Mujahid told Efe. The pull-out of foreign troops from Afghanistan is one of the Taliban's key demands in peace negotiations. The two sides have held several rounds of talks in the United Arab Emirates and Qatar amid opposition by Afghan President Ashraf Ghani's government, which insists on having a central role in the peace talks.